I’m nearly done with the rewrite of my first novel – book one of The Vessels trilogy. Set in Reno, Nevada, it focuses on the birth of the newest Vessels Program, where select young people, suffering and alone in the world, are chosen to host Spirits wishing to return to this life and fix things from their past. This is the fictional fifth of four similar programs across the globe, all of whom share the same ship bearing these souls. Though a new program can only launch under a full moon’s watchful eye, it can run more frequently afterward, no matter the lunar phase. During the course of writing this, I was curious just how the moon is seen at the same moment in time around the world, especially between the Southern and Northern Hemispheres. I’m sure I learned this in science class eons ago, but I had forgotten: the moon is always in the same phase at the same time around the world, orbiting the earth at around equator height. But it appears differently in the different hemispheres due to the tilt of the earth’s axis. In the Southern Hemisphere, it appears to be “upside down” or “backwards” from what we see in the Northern Hemisphere. And vice versa. 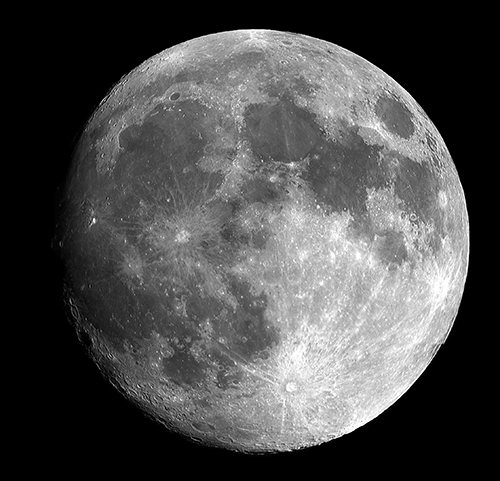 The phases of the moon are: New, Waxing Crescent, First Quarter, Waxing Gibbous, Full, Waning Gibbous, Last Quarter, Waning Crescent. The Last Quarter looks like a “C” in the Northern Hemisphere, while it looks like a “D” in the Southern Hemisphere. The moon also rises and sets just like the sun does, but the timing depends on its phase and on the observer’s latitude and longitude. My cousin, Jimmy Hall — of Mobile, Alabama’s “Wet Willie” fame — wrote a terrific song many years ago called “The Same Old Moon.” It’s about a prodigal son leaving home, and the father who promises to love him from afar. Jimmy was so right: “The same old moon shining down on me is watching over you.” Yes it is, Jimmy. Literally.